We provide comprehensive Eyecare services for adults and children of all ages. Our staff is always there to assist you and we accept most insurance plans including VSP, Blue Cross, Providence, Cigna, Teamsters, and most other plans. Our office provides many surgical services such as Cataract surgery, Laser surgery, Refractive surgery and Strabismic surgery. We offer this in conjunction with the hospital and local eye surgeons. 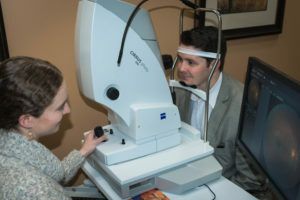 Additionally, we have working arrangements established with other specialized eye care doctors to manage such things as retinal detachments, retinal tears, and hemorrhages. 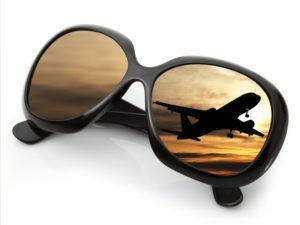 Our wide selection of frames and lenses includes eyewear for computer use, sunglasses, no-line bifocals, occupational multifocals, sports eyewear, lenses for reduced thickness and weight, children’s eyewear, and special orders. Our opticians will take the time to explain to you about new lenses available on the market today and will help you select the right shape and color frames to keep you in style. If you have special eye diseases such as cataracts, glaucoma, or complications from diabetes, you will require special attention to your eye care. We can effectively manage these conditions and prescribe the appropriate medications or, when necessary, arrange for surgery. We co-manage with surgeons and hospitals to assure your best overall care. If you would like information on any of these eye diseases, be sure to visit our FAQs section for detailed information and photographs that may help you to better understand your eye condition. Children have always been a big part of our practice. We have been the leading advisories for learning performance and vision therapy for over 25 years. We have especially enjoyed watching the children of our patients grow and develop good vision habits that helped them succeed in life. Our patients understand that just having good eyesight is vastly different than having great FUNCTIONAL VISION. We offer Complimentary Preschool Vision Screenings for preschool children (ages 3-6 yrs. who are not yet in first grade) as a community service. 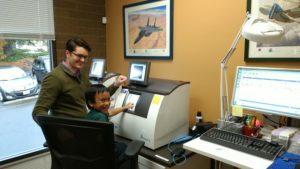 Click here for more of our Children’s Vision and Eye Care Services. Technology is rapidly changing the contact lens market. Today, new lens designs allow you to see better and are more comfortable than ever before. Also, new lens materials allow more oxygen to your eyes for better eye health. A variety of lens options are available and we will provide you with the best lenses to meet your individual needs and lifestyle. Most people with vision correction issues are wanting to know more about LASIK and whether it is right for them. Here is a brief description of the procedure: A flap is surgically cut in the cornea and gently folded back. An Excimer Laser is used to reshape the cornea into a flatter shape (this is much like a contact lens corrects vision by forming a new shape on the cornea). The flap is then put back in place, acting like a natural bandage. The healing process is quick and the discomfort level is quite low. People will often say that they did not feel anything, and could see well the very first day. Most people have improved vision within 24-48 hours. However, it must be noted that each person will heal at a different rate. Vision, although greatly improved immediately after surgery, often continues to improve for some weeks, even months. LASIK is not for everyone. People’s eyes are different so even though you may have had a friend who has had LASIK, it may not be the best course of treatment for you. If you are interested in laser vision correction, we will be happy to guide you in picking the right surgeon, procedure and laser appropriate for you. After the procedure, we take great care to monitor your eyes and adjust your medication for the best possible results. Our office provides emergency services for eye infections and eye injuries. Please call our office at (503) 649-7566 during office hours. Our staff will work with you to schedule an appointment as soon as possible. State of the art microscopes allow us to examine the front surface of the eye and facial areas around the eye for infection or injury. After assessing the extent of the injury or infection a treatment plan will be formulated and explained to you. Treatment may include medications and supportive care. Follow-up visits to monitor your recovery will be scheduled as needed. Dry Eyes symptoms include: watery, tired, light sensitive, scratchy eyes, burning, mild redness and gritty feeling eyes. Oral medications, reading, computer tasks and dry environments may aggravate marginally dry eyes. Dry eyes can be diagnosed by using dyes to observe tear patterns, evaluation of the amount of tears on the front of the eye and from review of your symptoms. Treatment may include artificial tears; eye drops for treating allergies; and/or punctal plugs inserted in the tear drainage canals.